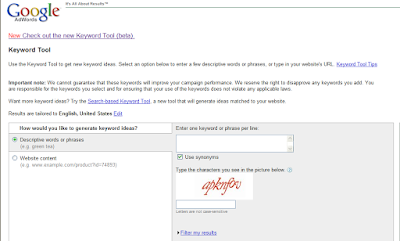 Google's external keyword tool is getting an update. 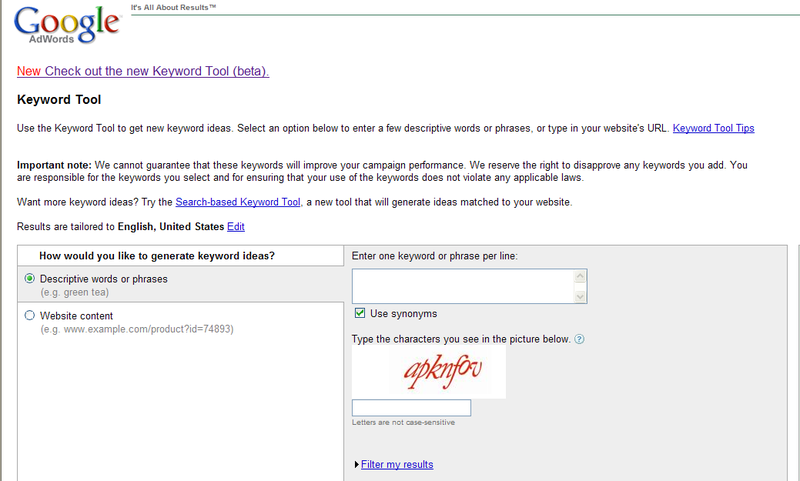 You may have noticed that you are sent to the new keyword tool that Google began offering in September 2009. The "new" interface for Google's keyword tool offers a few new options including the ability to filter by location and language.